BioNew provides biological agriculture solutions including nutrition, natural plant disease, yield and pesticide free crops. BioNEW technology uses the highest quality ingredients using production processes which meet the highest quality standards. 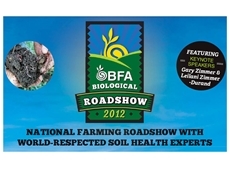 23/07/12 - Biological Farmers of Australia (BFA) is organising a series of one-day roadshows in Australia this week. 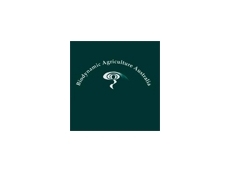 28/06/12 - Formed in 1989, Biodynamic Agriculture Australia is a not-for-profit company that focuses on promoting biodynamic growing methodology at all levels of food production across Australia. 28/01/10 - Despite the bleak look of climate change predictions, Munash believe farmers can survive it and even reduce the impact they have on the issue by simply taking a natural biological farming approach. 30/12/09 - The 2009 YLAD Living Soil annual field day, Farming 2020 and Beyond, took place in October in Young. 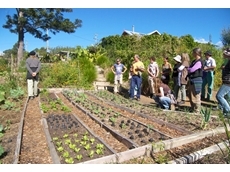 22/07/08 - Nutri-Tech Solutions offers development and supply services for a range of sustainable agricultural products. 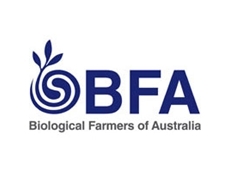 09/07/08 - BioAg is an innovative Australian company, which manufactures a range of biologically active solid nutrients and fermented liquid cultures that help to produce living, healthy and balanced soils for optimum plant and livestock productivity. 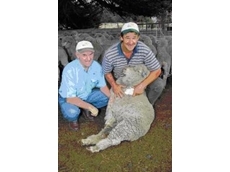 07/07/08 - Hosted by biological nutrient manufacturer, BioAg, the tour will visit nine grain, beef, sheep, dairy and vegetable producers, who have successfully incorporated biological farming practices into their operations.